A beguiling blast of intense ripe black cherries/berries and subtle vanilla. Follows through to a silky,rich and brilliant concentration of exciting black fruits. Beautifully long ,exciting finish. 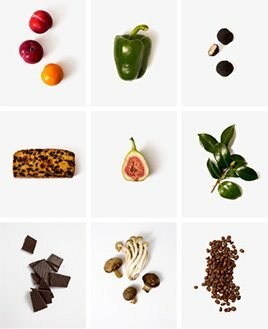 Best Bon Pasteur any of the team can recall tasting. Sadly a very limited quantity is available. The Wine Advocate - A beautiful wine from Dany and Michel Rolland, this 2005 is surprisingly concentrated and powerful more so than usual. Deep ruby/purple, with plenty of black cherry and cassis fruit, licorice and a touch of caramel, this wine is still full, youthful, and set for another 15-20 years of longevity. This is a beauty and one of their strongest efforts in the first decade of the 21st century. For a terroir considered well below Pomerols superstars, this wine is a major overachiever. Château Le Bon Pasteur is a small Pomerol property that has been run by guru oenologist Michel Rolland and his wife Dany since 1978. Le Bon Pasteur's 7-hectare vineyard is located in the north-east of the appellation between the vineyards of L`Evangile, Gazin and Cheval-Blanc on the St.Emilion border. The vines have a high average age (40 years) and the vineyard is planted with 80% Merlot and 20% Cabernet Franc. Yields are tightly restricted and the grapes are picked only at optimum ripeness. 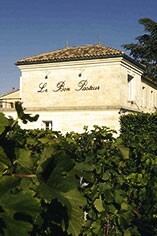 Le Bon Pasteur's grapes are hand-picked and are fermented in temperature-controlled-stainless steel vats. The wine is then matured in oak casks (80% new) for 18-20 months. It is bottled unfined and unfiltered. 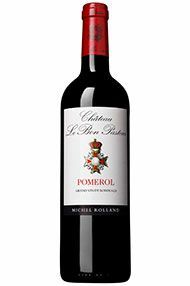 Le Bon Pasteur produce supremely well-balanced Pomerols that are supple and packed with juicy, lush Merlot fruit. They are approachable young but usually benefit from around 7-10 years of cellaring.